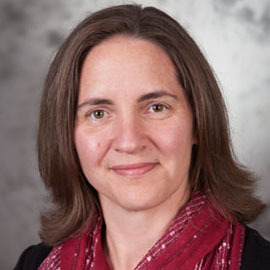 WATERLOO – Tammy Schirle, director of the Laurier Centre for Economic Research and Policy Analysis, is co-leading a project examining the sources of Ontario’s gender wage gap in the private sector. Schirle’s project, in partnership with Ana Ferrer from the University of Waterloo, is one of only three from across the province funded by the Ontario Pay Equity Office’s Gender Wage Gap Grant Program. Schirle and Ferrer are exploring the industries in which the gender wage gap is more likely to represent systemic discrimination. Past research shows that large parts of the wage gap have been excused because the gap relates to differences in the occupations typically pursued by men and women, and it is assumed that these occupational differences also reflect differences in productive skills. In Schirle and Ferrer’s study, they directly examined gender differences in the skills required by a person’s job. Schirle says that these results, however, are not universally true. In the professional, scientific and technical services industry, gender differences in wages that relate to occupational gender segregation also represent gender differences in job skills. Schirle has testified to the House of Commons Standing Committee for the Status of Women. She specializes in labour economics and public policy, with a focus on the economics of gender. She also teaches undergraduate courses about the economics of gender. Equal Pay Day takes place annually to recognize the difference between what equally qualified men and women are paid for equal work. Equal Pay Day is used to demonstrate that women – who generally earn less than men – must work longer to earn the same amount that men earned in the previous year. In 2016, Equal Pay Day falls on April 19.